Starting in the late 90s, Chiro.Org began to tithe half our yearly income towards Chiropractic Research. Over the years we have supported the FCER (Foundation for Chiropractic Education and Research) and the ICPA (International Chiropractic Pediatric Association). After the untimely demise of the FCER, we started tithing grants to the research departments of various Chiropractic Schools, including the Anglo–European College of Chiropractic, the Canadian Memorial Chiropractic College, Cleveland Chiropractic College, and Logan College Of Chiropractic. We also continue to support the ICPA. We want to thank our volunteer webmasters (chiropractors all!) for keeping our overhead to the bare minimum, and to our Banner Sponsors for providing the income required to maintain our website, and so that we can continue to tithe half our yearly income towards supporting chiropractic research! In the Age of Accountability, insurers may only pay for care that is supported by research. Our intention is to do our part, and to encourage our readers (chiropractors all) to do their part, putting their money where it will do the most good... into high quality research, which accurately describes the miracles that we see every day in our practices. Please visit any of those college research websites and make a donation to further Chiropractic Research. It's the smart thing to do! Chiro.Org has turned 23 !!! Chiro.Org has turned 23 years old in March 2018! We remain the oldest existing chiropractic website, following the retirement Dr. John Wiens' Chiropractic Page to our Archives section. When fearless (retired) leader Ed Merrifield registered the Chiro.Org domain, there were less than 10,000 websites on the whole Planet! During the last 23 years, Chiro.Org has remained true to our vision — to bring balanced, non-partisan, and non-solicitous evidence-based information of value to the Chiropractic profession. That is our sole objective. Starting in February of 2009, we converted our original “home page” into a Blog. However, do not forget that our site continues to be so much more than just a Blog! All our original information sections are still being regularly updated withg new materials. Because this site is archival, none of that material is ever removed, so we are a repository for all things chiropractic and alternative. Drop by our Original Homepage for easy access to all those materials. You may also want to use our Search page to easily locate specific materials in a particular section. The International Chiropractic Pediatric Association (ICPA) just gave Chiro.Org an honorable mention on their home page, and also created an Honorable Donor Page to thank us for our continuing funding of chiropractic research. 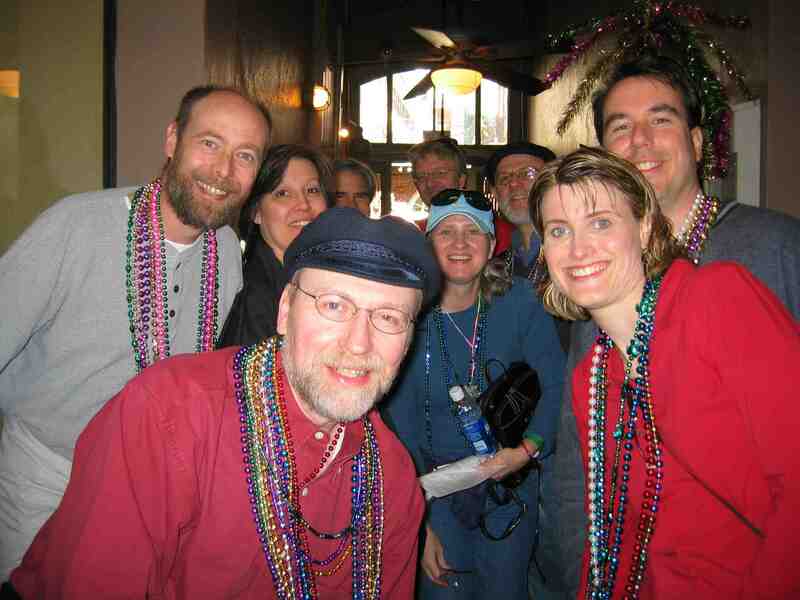 Here's a larger version of the group picture we took in New Orleans (in 2004) when our Board met as a group for the first time. We had been working together online for 9 years at that point, but had never met face-to-face.